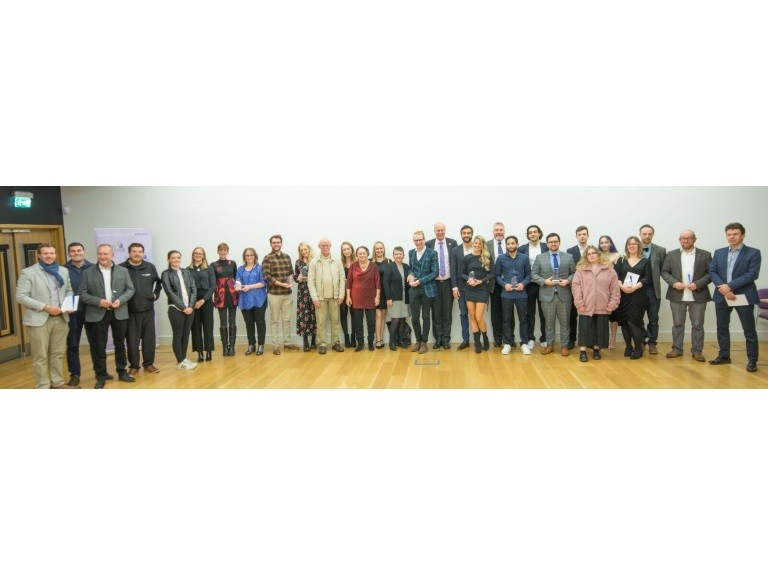 The Epsom & Ewell Business Awards celebrated business excellence in the local community at the Awards Finals held at the University for the Creative Arts on Thursday 15th November. Winners were announced for each of the ten categories and the Best Overall Business sponsored by Radio Jackie was awarded to the Four Gables Group, an innovative catering, events and wedding hospitality company run by David Guillott based in Ashtead. The winning businesses and individuals were awarded some great prizes which include a tour of the House of Commons, £1000 worth of radio advertising courtesy of Radio Jackie, membership of Surrey Chambers, a business session with ActionCOACH and annual membership to thebestof Epsom & Ewell for the Best New Business winner. This year to coincide with 100 years of women’s suffrage a Best Woman in Business Award was presented to Jessica Rea who established her outstanding business as a milliner in Ewell eight years ago. “I am absolutely delighted that Four Gables Group been awarded The Best Overall Business and Best Business in Ashtead in 2018. David along with his team have grown Four Gables into a really first class catering and hospitality business. Their creative flair and innovative approach to food sets them apart from the competition. They are worthy winners."